For everyone who thinks of himself as a Smartphone Enthusiast, it is well known that they are now pushing the $1000 line, so, when we hear about a $200 Smartphone it going to turn some heads, obviously. And for good reasons too, an 18:9 Full HD Screen, a Dual Camera, skinny bezels, and a sleek design, the only thing from this otherwise amazing device is a USB-C port. 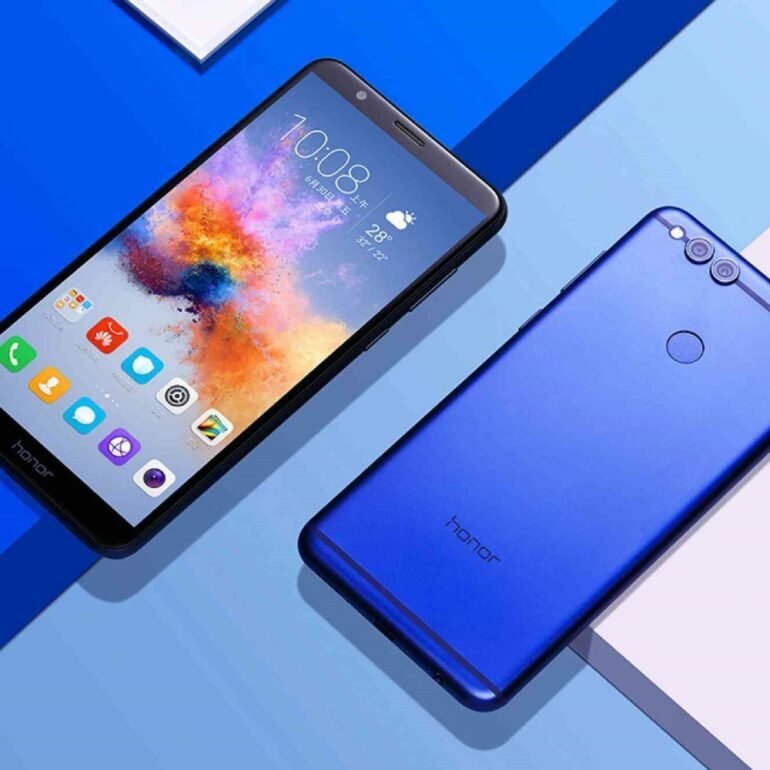 Whether you think of it a good thing or not, the Honor 7X stands out (besides for his price) for being amongst the last smartphones featuring a Micro USB charging port, rather than a more modern USB-C.
We could blame it on the price, but, similar phones like the Alcatel Idol 5S and the Moto X4 both feature a USB-C charging port, which has a more stable and faster connection compared to the micro USB, and let’s not forget that the new USB has no right side up. Once again, whether it is notable for being good or bad, we’ll leave that up to you. But, if you are willing to move past that, you’ll see an awesome phone right in front you, so much so, you might even mistake it for one of those pricey ones. The $200 price is a 20% less than last year 6X, which was also an excellent device. The Honor 7X has an $800 worth of Screen on a $200, it is very uncommon to focus on the specs when it comes about to budget phones, but with the Honor 7X, it is worth checking out right off the bat. Displays like the 18:9 ratio is very common amongst high-end Smartphones, but not so much for a mid-range handheld, and practically out of the question for budget phones. Those cheap Android phones normally look a few generations behind, with large home buttons, captive keys, and have giant bezels. But the Honor 7X even without an OLED display, can make those premium phones run for their money. With a screen that resembles that of the Galaxy S8, looking bright and crisp, it takes almost all the front of the Phone, surrounded by smaller bezels, and the Honor logo gracing the bottom edge of the device. The back of the Honor 7X looks a lot like the OnePlus 5T. Comes with a fingerprint sensor, a thin antenna line. Both visually and internally is a big improvement over the 6X. The Kirin 659 may not be the company’s (Huawei) fastest processor, but it isn’t the cheapest nor the slower, it feels great inside the Honor 7X, actually, it can even make the Snapdragon a run for its money. You’ll still be getting smooth scrolling, quick app launch and switch, and snappy animations. The Honor 7X is considered to be “Gaming-Friendly”, so much so, that Tencent and Gameloft have optimized some titles for them.